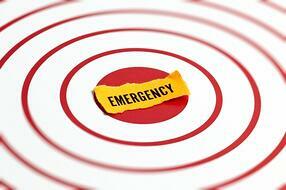 September is Emergency Preparedness Month. Considering that many of us spend a good portion of each day at our jobs, being prepared at work is essential. In addition to its long list of regulations, the OSHA website has all types of information, resources and tools available to employers to help prepare for emergencies and keep employees safe, should an emergency or disasters strike. Obviously, preparedness is key, since no one can predict a fire, earthquake, explosion, etc., so employers must establish and implement effective safety and health management systems that will prepare their workers. FACT: Many OSHA standards require that companies and organization with more than 10 employees must have a Written Emergency Action Plan; smaller companies may communicate their plans orally. OUR EXPERIENCE: For any health and safety program to be effective, owners and top tier management must support the initiative, and the commitment and involvement of all employees are crucial —regardless of company size. Also, once your program is established, employee training is a must, especially for line managers and supervisors. This holds especially true for Emergency Action Plans, since should they need to be put into action, making timely decisions will help save lives and property. OSHA emphasizes that employers should review plans with employees consistently—first when it is initially put in place and then periodically. We recommend annually. All plans need to be re-evaluated and amended whenever the plan itself, or employee responsibilities, change. Also consider a re-evaluation should the facility undergo physical changes due to construction or plant floor changes. Visit the OSHA website for worksheets, tools and other information about managing emergencies. Emilcott has been helping its clients develop and implement Emergency Action Plans, including training employees involved in all levels of response—from awareness to First Responders—for 30 years.